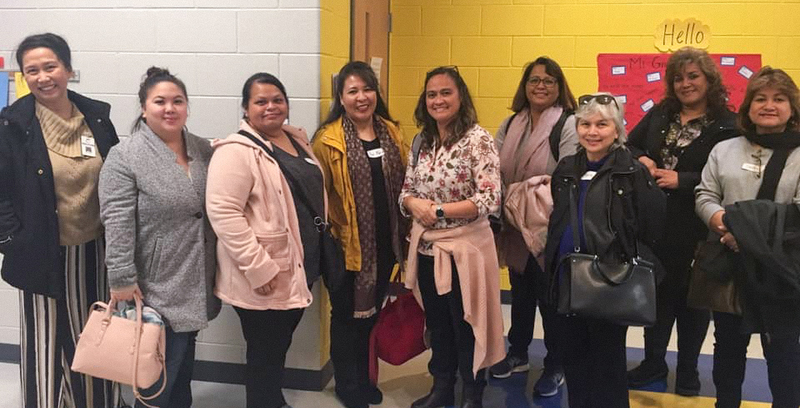 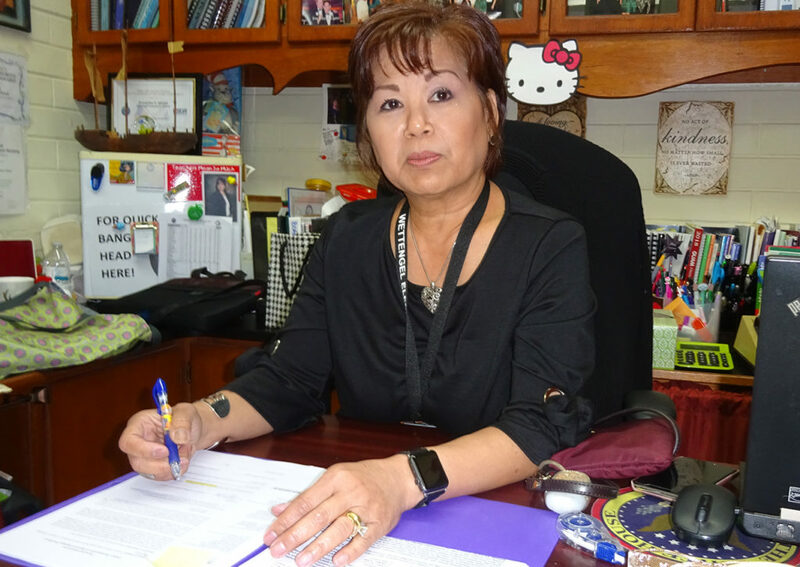 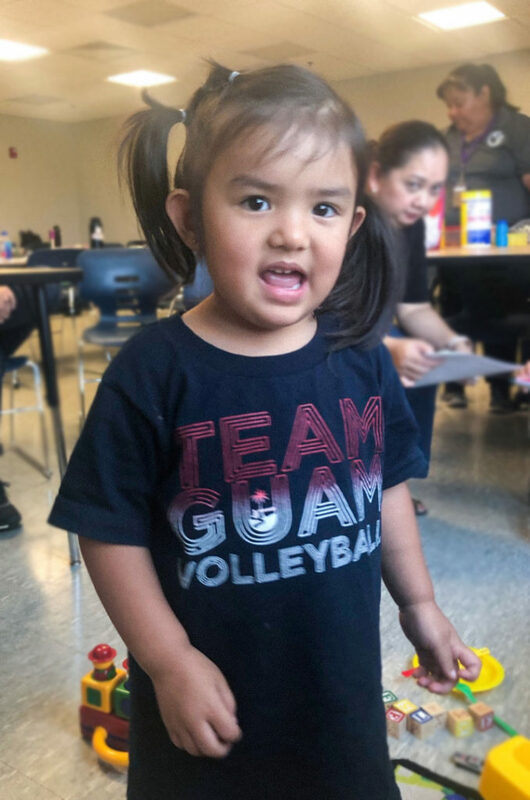 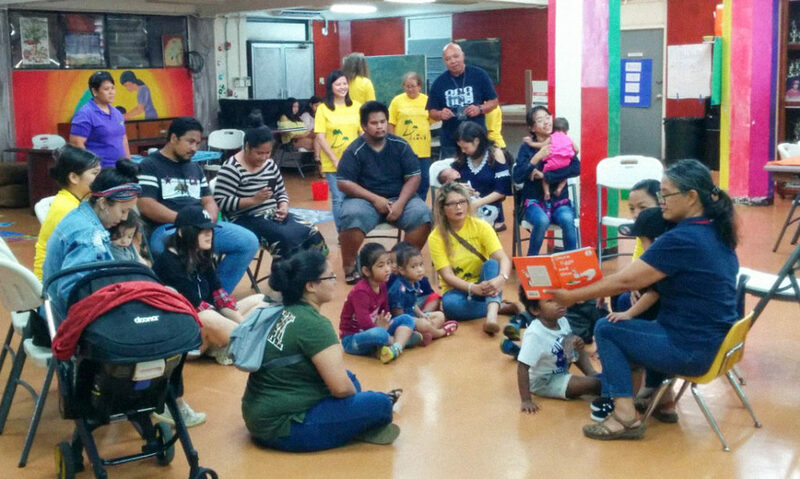 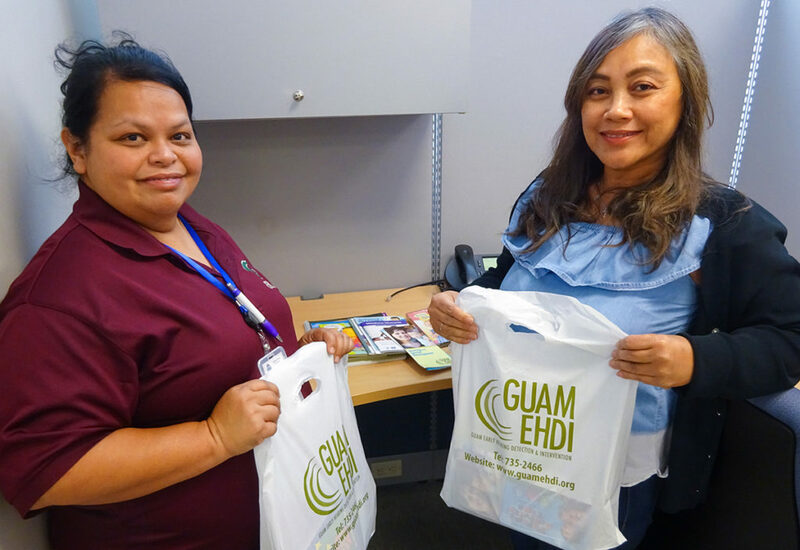 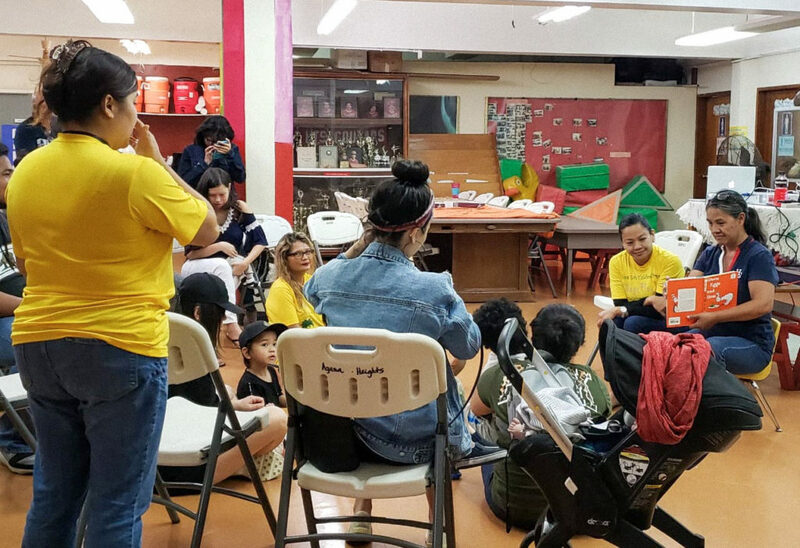 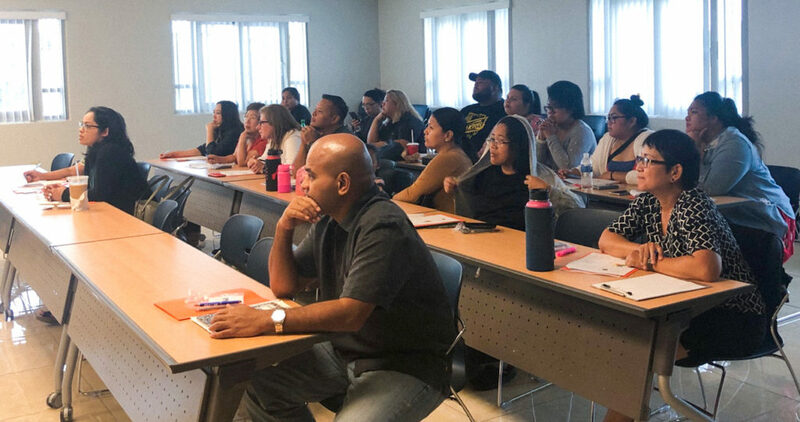 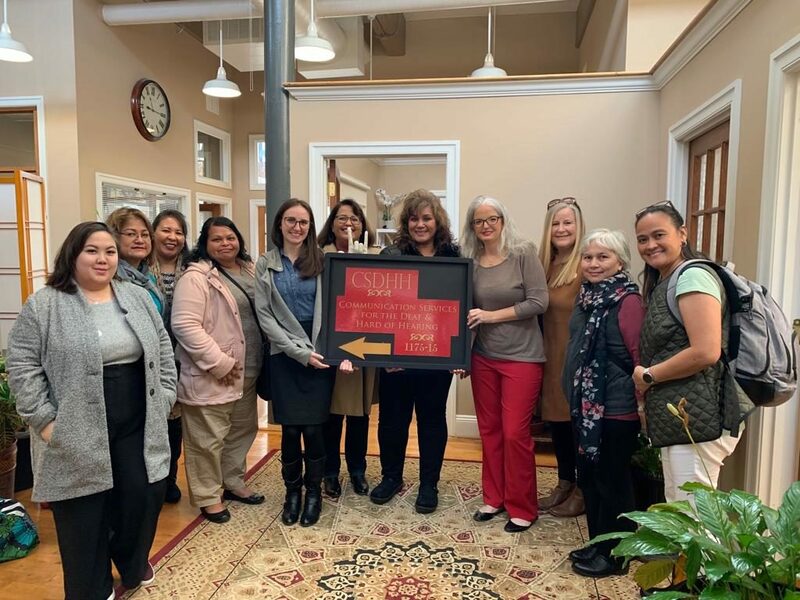 December 5, 2018: Guam Early Intervention System (GEIS) staff received ten Diagnostic Audiological Evaluation (DAE) Toolkits for infants referred for a DAE from Guam EHDI staff. 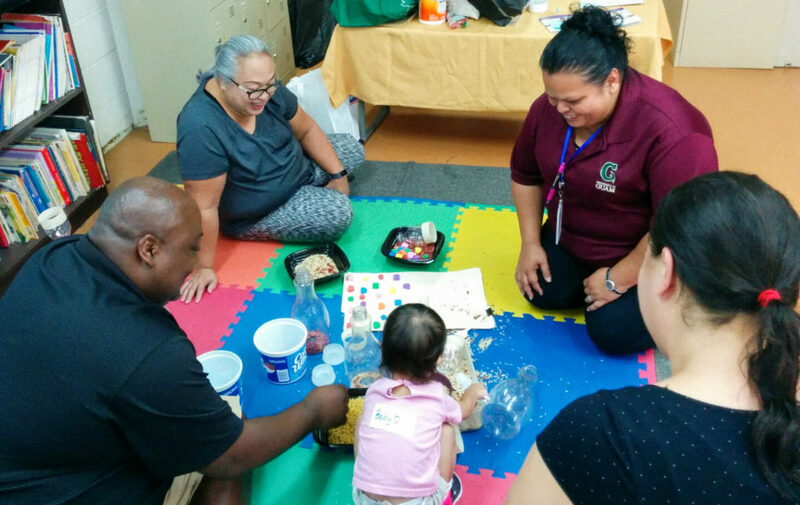 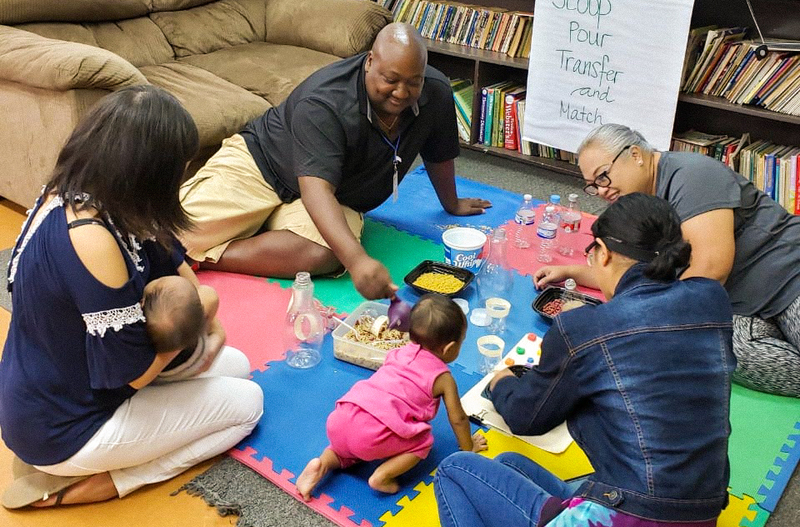 Toolkits include materials to assist families to prepare for the infant’s diagnostic audiological evaluation. 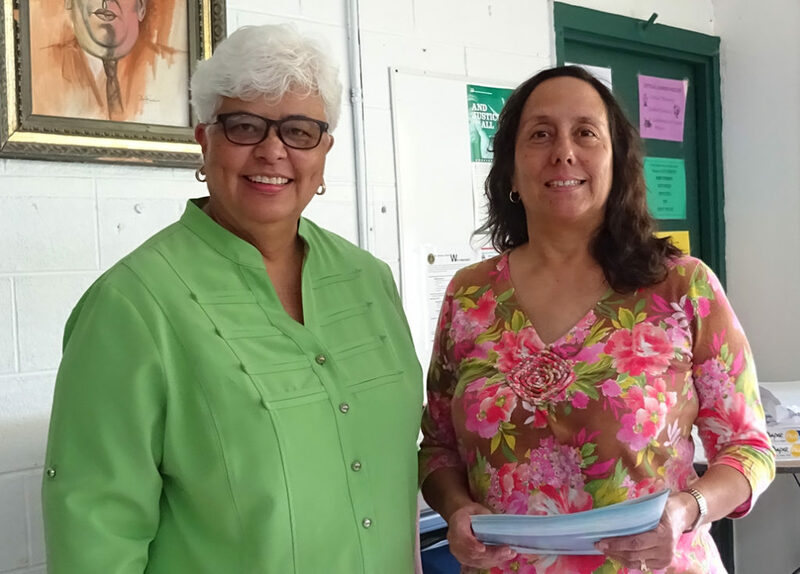 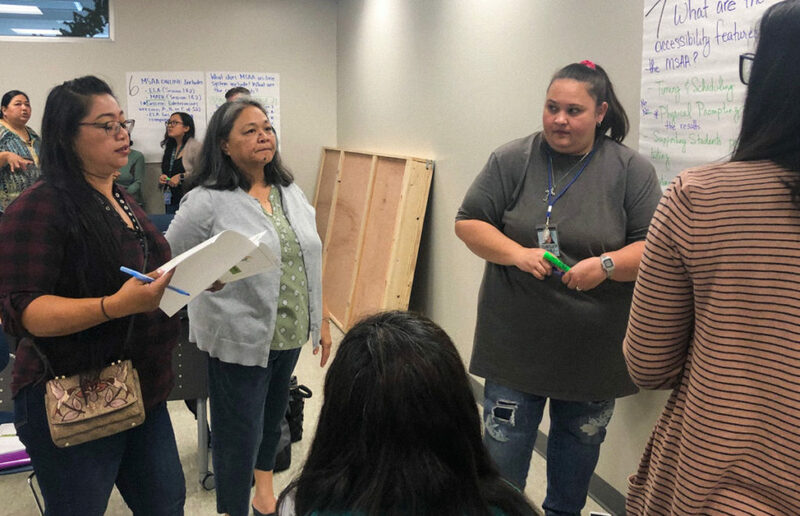 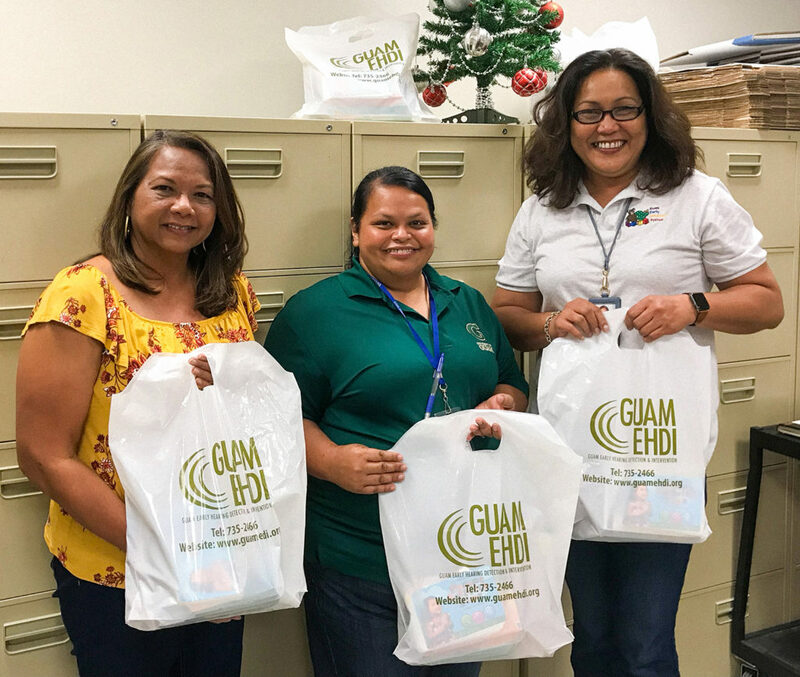 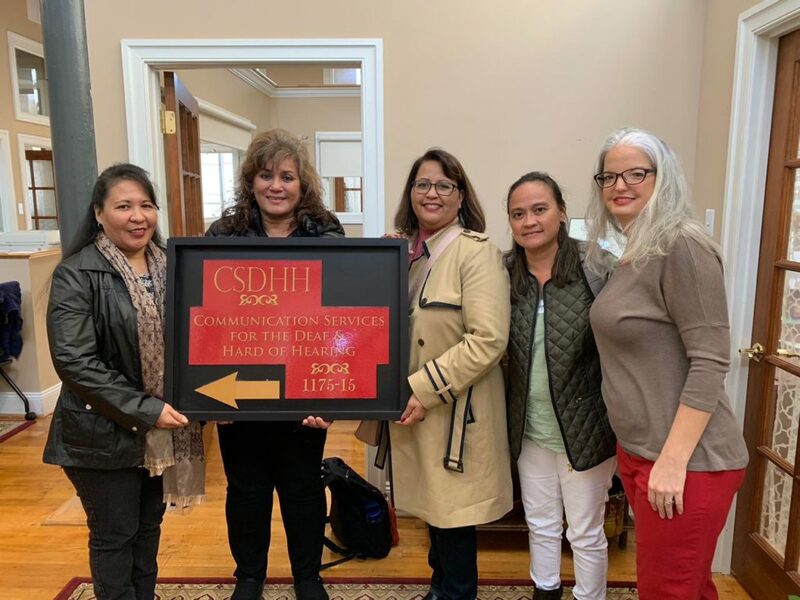 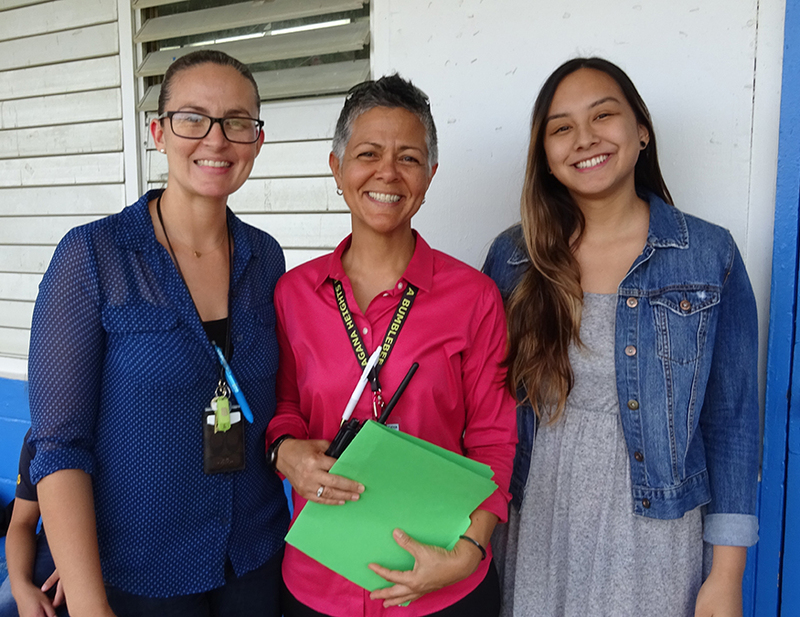 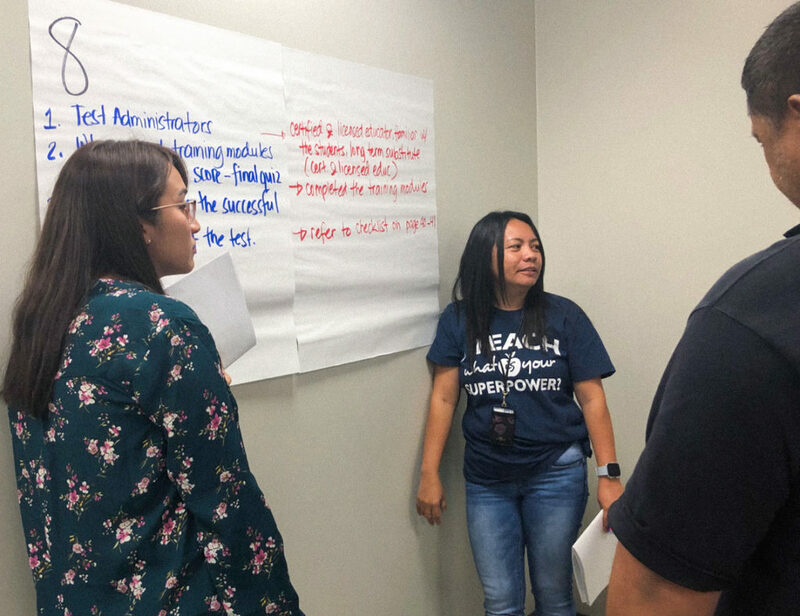 Pictured Left to Right: Barbara Leon Guerrero, GEIS Data Clerk; Tanya Simer, Guam EHDI Hearing Screening Paraprofessional; Therese Sanchez, GEIS Service Coordinator. 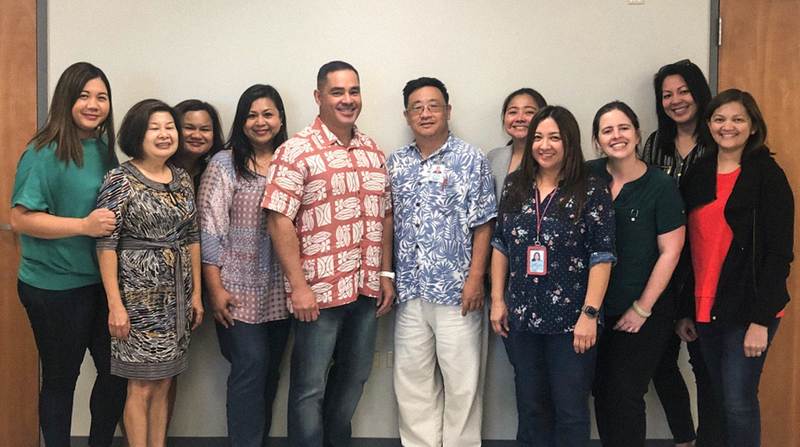 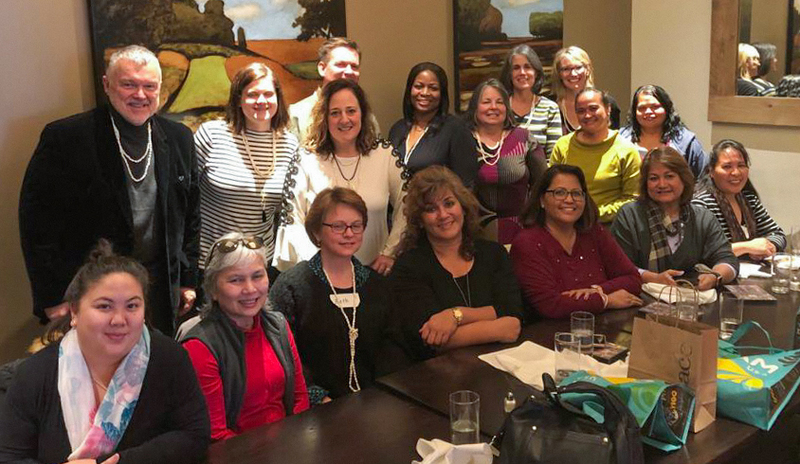 Not shown: Jenika Ballesta, Guam CEDDERS, Research Associate.